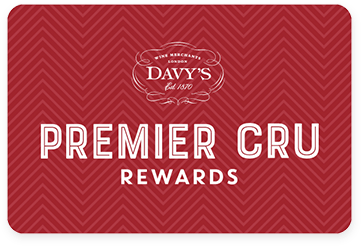 Premier Cru Rewards - Purchase this today and earn 94.5 points to redeem for free wine and gifts. Very deep flavours of blackcurrant, cherry, cedar, sandalwood and toasted oak with a long enticing finish and silky tannins. Won 1st Prize Gran Reserva Red Rioja Wine 2017 and received 95pts from Tim Atkins, 93 Pts from Wine Enthusiast and 92pts from Robert Parker – The Wine Advocate. Spanish still red wine from Rioja Spain made with Tempranillo and Garnacha. Valserrano is a long established family Bodega that lies in the best part of the region, on the limestone ridges of the Alavesa area in the Rioja Alta near Haro. It is based on the same principal as a good French Château which is to use fruit only from their own vineyards, set rigorous standards in the cellars and, following fermentation in stainless steel, they age the wine in oak part of which is renewed each year. The wines have elegance and pungency combined with the soft spicy allure that only well made Tempranillo can offer. They are very good indeed and have received really high score from renown wine critics. View our selection. Valserrano estate lies on 65 hectares of vineyards that belong to the family. The domaine is planted with 80% of Tempranillo, the basis of any good Rioja wine and Mazuelo, Garnacha, Graciano and Viura. The family recently planted a vineyard with Maturana red and another with Chardonnay to see how these minority varieties perform in the Rioja Alavesa. Once fermented, their wine mature in underground natural cellars over 200 years old. All their cuvées have received great revue and usually receive over 90 points from world renown wine critics including Stephen Tanzer and Robert Parker. All their cuvée are under the Rioja DO and includes 2 whites; Rioja Blanco and Gran Reserva, and 6 reds; Rioja Crianza, Reserva and Gran Reserva, Graciano, Finca Monteviejo and Nico.